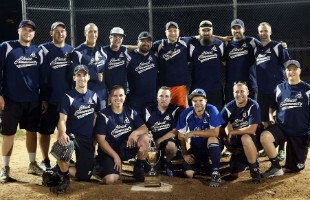 Come on out for church softball playoff action as the Christ Community Church Men’s Softball team plays the Christ Presbyterian Church Men’s Softball team on Tuesday July 31st under the lights at Cronk Field in Belchertown. Cronk Field is located at Chestnut Hill Community School adjacent to Jessica’s Playground. Admission is free and there is plenty of parking. Game times are at 5:45PM, 7PM, and if necessary 8PM. Bleacher seating is available but fans are encouraged to bring lawn chairs. For more information about the Inter-Church Softball League please visit interchurchsoftball.com.